Climate Common Sense: Brothelgate has Labor on the Ropes! The story has more twists and turns than a Le Carre spy story and today's Australian has no less than eight articles on the scandal as the relentless pressure on Labor continues as the details unfold. Beyond the lurid allegations of use of credits cards for prostitution services and cash advances on overseas trips and many, many tens of thousands of mysteriously missing dollars, comes a far more basic political stench. 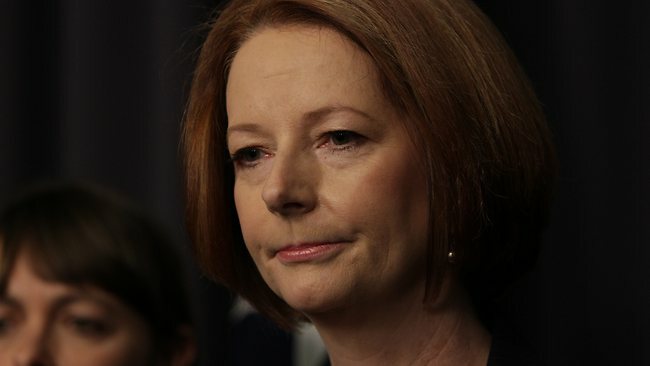 What the Liberals like to call the NSW Labor "sleaze disease" now reaches directly into the heart of the Gillard prime ministership - courtesy of a Labor backbencher in whom she insists she still has full confidence. It also reflects the depth and breadth of political misjudgment that threatens the survival of a federal government in seemingly permanent crisis mode. That includes, for example, allowing Thomson to stand again last year for the NSW Central Coast seat of Dobell, despite the swirling allegations about his behaviour and despite the union's referral of possible misappropriation of union funds to Fair Work Australia a year earlier. Labor will have to do something but what? Peter Van Onselen suggests dumping Thomson, Gillard going and the new leader putting the carbon tax to a plebiscite which would fail ,removing a huge dead weight from Labor. Labor may then retain at least a respectable number of seats at the next election. Peter Van Onselen makes a lot of sense however nothing will save this Green-Labor party from annihilation!